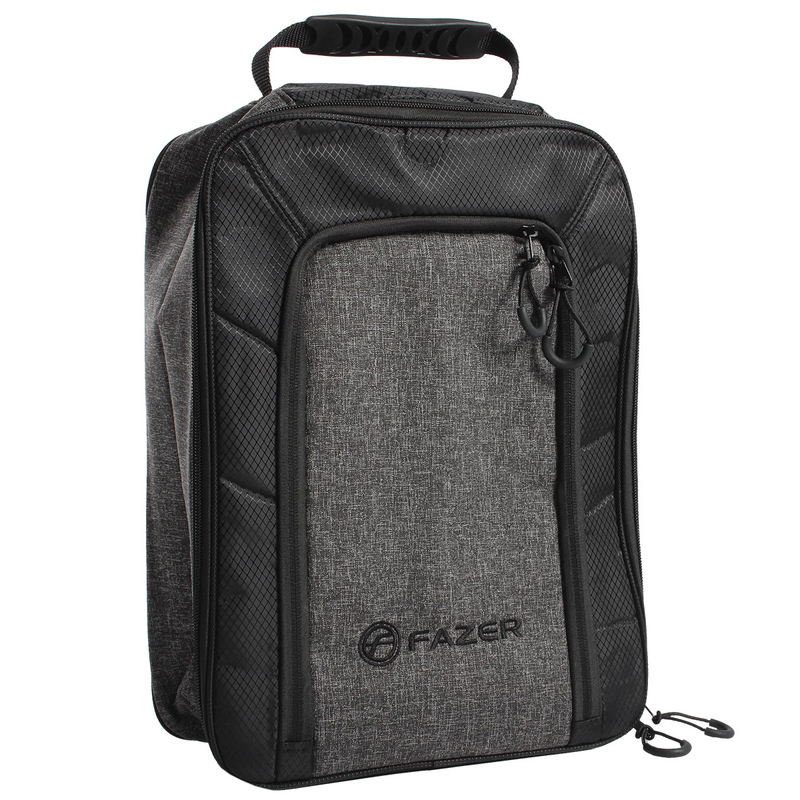 Keep your golf shoes secured in this Fazer Shoe Bag. 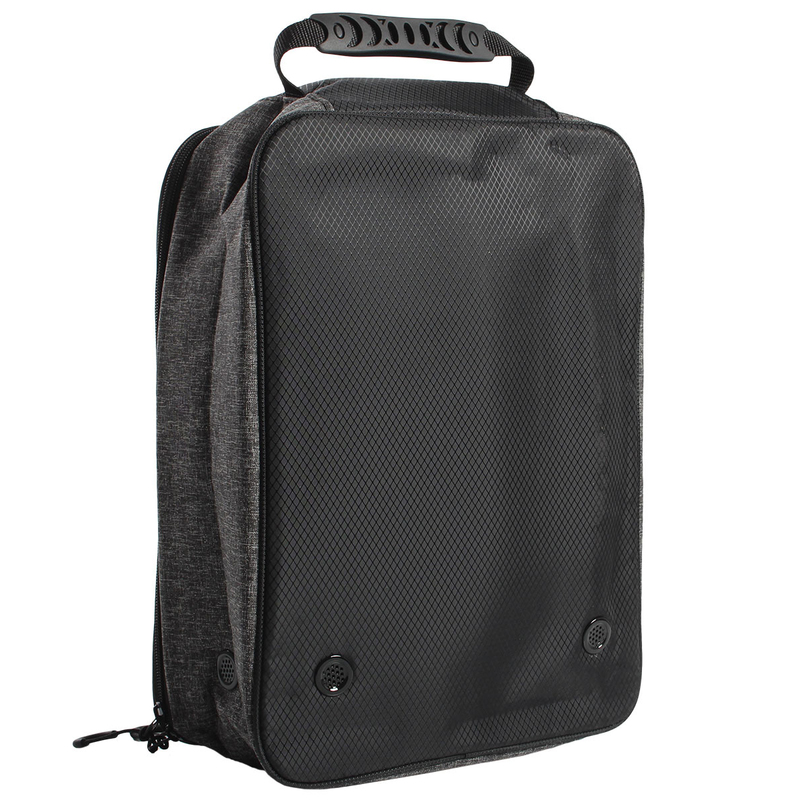 The bag is oversized to allow all sizes of male or female shoes to fit. 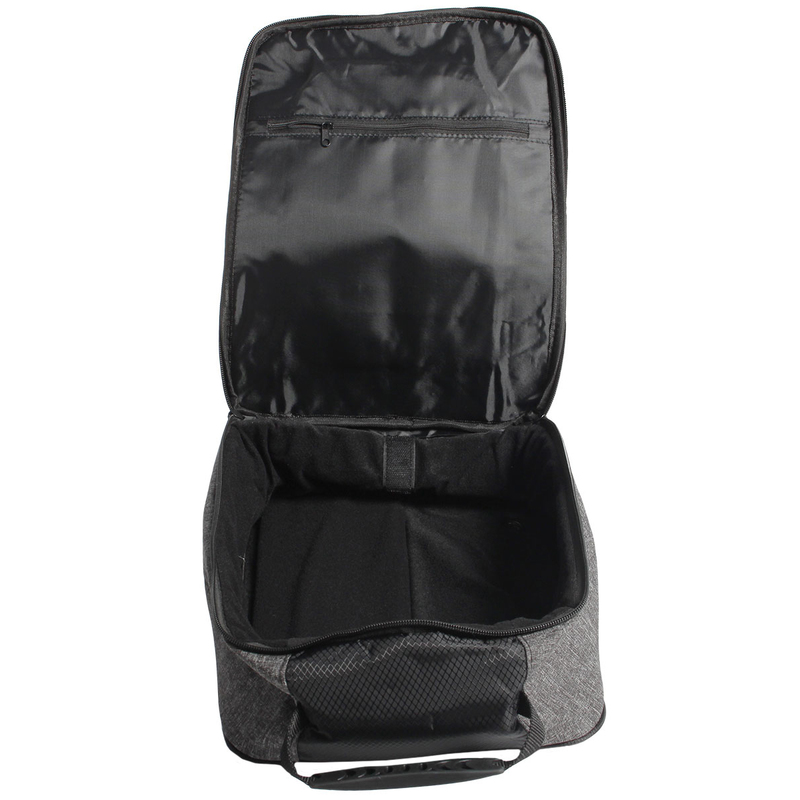 The divider that can be used through the centre of the bag compartment keeps your shoes seperated and adds that extra bit of cushioning. 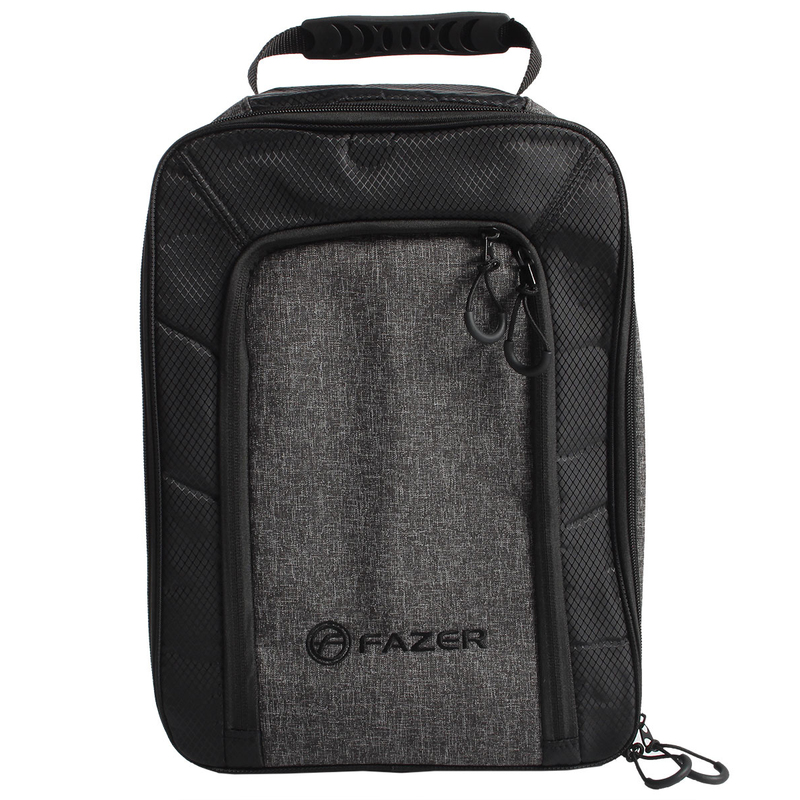 The bag has 2 breathing vents to prevent the pong after a few games of golf and stops them from staying damp in the bag. 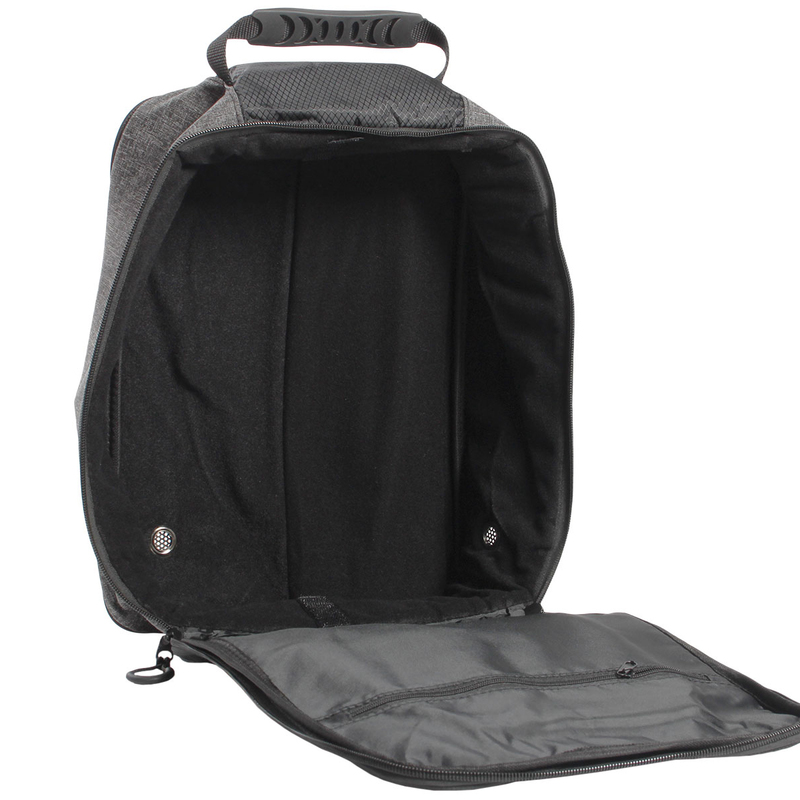 There is an outer pocket for extra storage and all compartments are easy to fasten with the two zips. 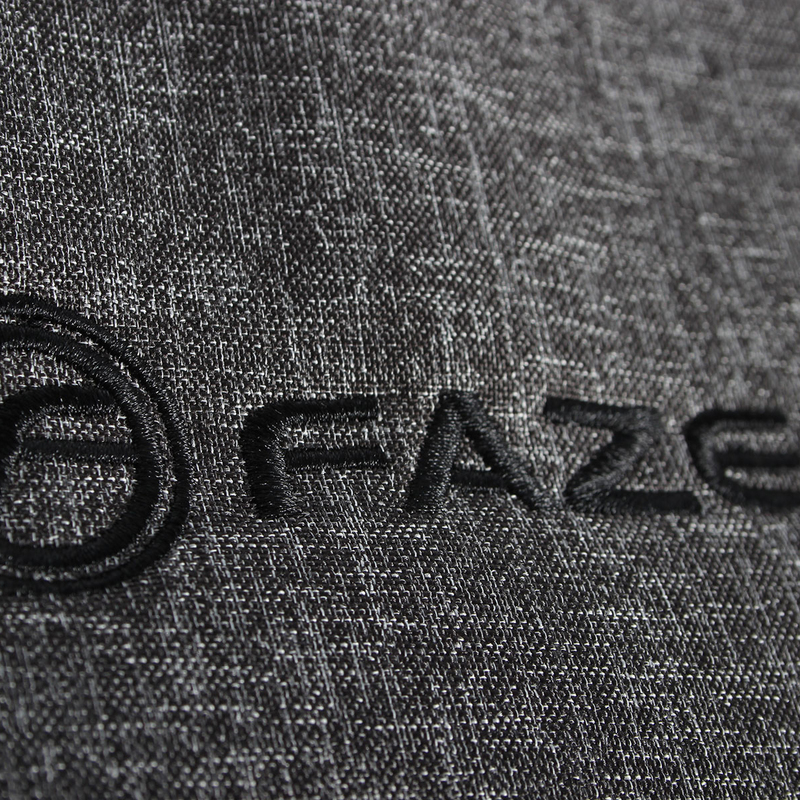 The heavy duty material stops wear on the bag.